The Bitcoin center is partnering with BitDevs NYC to host a hackathon this Saturday, February 22, from 12pm to 10pm Eastern Standard time. Unlike what it seems, a hackathon is not a place where you go to learn about hacking. In fact, “a hackathon is an event where coders meet to program together over a short period.” It’s basically an event where you collaborate and compete with one another for a prize or goal. Called “Capture the Coin” the main focus of the hackathon on Saturday will be to find a “vulnernable Bitcoin web wallet.” A BitDevs NYC member will design an online Bitcoin wallet that will have $5 contributions from players and spectators. The players will have to put all of their Bitcoin knowledge and information about security to good use as they compete with each other to find the vulnerability in the online Bitcoin wallet. The winner will be the person who is able to successfully penetrate the server, gets access to the Bitcoin wallet, and then sends all of the coins to another Bitcoin address. The winner gets the entire prize. The Bitcoin center is the place in New York to get the most information about Bitcoin. It’s the central hub for Bitcoin in New York city. It is located in Manhattan’s Financial District and is near the New York Stock Exchange. 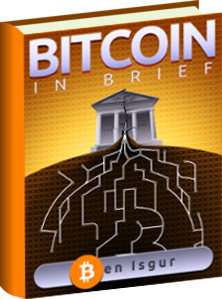 The center promotes awareness of Bitcoin and other digital currencies. In specific it seeks to “advance education and innovation in the financial tech space.” Since it was founded last year by policy makers and entrepreneurs it has continued to promote Bitcoin awareness and innovation in technology. BitDevs holds meetings once a week that are both formal and social gatherings. For the hackathon, BitDevs has partnered up with the Bitcoin Center. A hackathon is a good way to get smart, creative, and innovate people to work on problems Bitcoin has in order to develop solutions for them. The key to a successful hackathon is getting talented developers who have new ideas and methods for programming. Hopefully this will not be a problem because New York City is home to a diverse community on all different levels. If a lot of different types of people show up, there will be a whole lot of creative solutions for the hackathon. In addition, after the NYDFS hearing, it seems regulation for Bitcoin is inevitable in the city. So, in order to liven up and “return to Bitcoin’s grassroots”, the players can help solve problems by working together to better the Bitcoin network. If you’d like to attend the hackathon you must RSVP on the BitDevs event page. You can also email [email protected] with the subject of the email being “Hackathon RSVP” and include your name in the body of the email.